Set on the unforgiving, squalid streets of Victorian London in 1880, our tale begins in the baroque, grandiose music hall where the capital's most renowned performer Dan Leno (Douglas Booth) takes to the stage. The whimsical thespian performs a monologue, informing his dedicated audience of the ghastly fate of a young woman who had once adorned this very stage, his dear friend Elizabeth Cree (Olivia Cooke); for the beguiling songstress is facing up to her forthcoming death by hanging, having been accused of murdering her husband John Cree (Sam Reid). 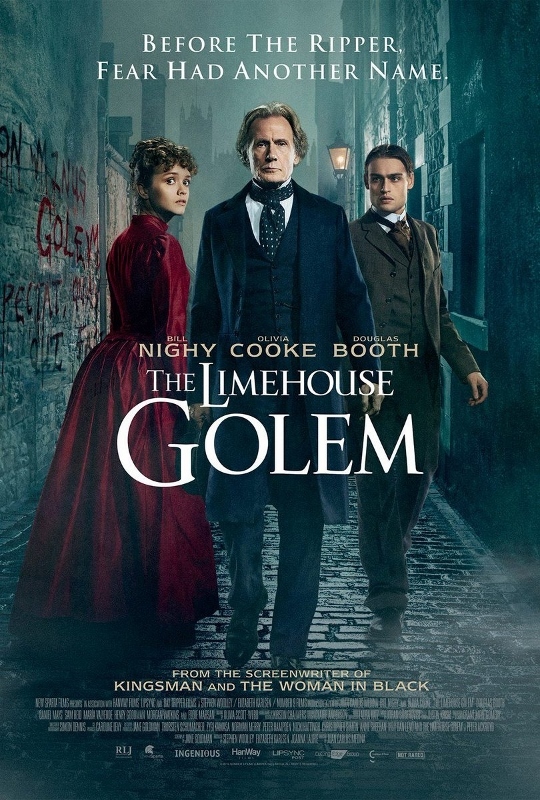 Lizzie's death seems inevitable, until Detective Inspector John Kildare (Bill Nighy) is assigned to the case of the Limehouse Golem – a nefarious, calculating serial killer, murdering innocent, unconnected victims, leaving behind barely identifiable corpses – and his distinctive signature in blood. All is not what it seems and everyone is a suspect and everyone has a secret.